Sheep desperately need a loving caring shepherd. I have been around many shepherds in my life and I can tell you, some of them do not have the best interests of the sheep in their heart. First let me say, Christ is the chief shepherd and He literally laid down His life for His sheep. Christ has also placed shepherds in His Church and they are known as pastors. Study the word pastors and you will find it means “to tend a flock” or “to pasture a flock”. The pastors are most certainly given authority by the Almighty and the sheep must respect this authority; however, I do not wish to speak about their authority here. Jeremiah 10:21 says this: “For the pastors have become brutish and have not sought the LORD; therefore, they shall not prosper and all their flocks shall be scattered”. Jeremiah 23:1, “Woe be unto the pastors that destroy and scatter the sheep of my pasture! saith the LORD”. The word brutish is very heavy. It means to consume by fire or by eating, to take away, set on fire, waste. What a horrible indictment against careless shepherds. This passage means, that the shepherds were doing the exact opposite of what they were intended to do. I have seen pastors who are out to make a name for themselves. They dress it all up in terms like, “We are going to build the biggest church in the whole area so we can win souls”, as if a large church-building complex is going to somehow free up the Holy Spirit so that men’s souls can be rescued. The whole sound of this smacks of pride and arrogance. The Holy Spirit is not limited by time, location, numbers, money or anything else. He does His best work when the odds are ridiculously against Him. He likes the world to know, that He is Almighty God without any sort of limitation. Unfortunately when you hear words like, “we are going to build the biggest” or “we are going to make the greatest”, you have most likely heard someone who is in the flesh. They may be a decent person, but they have gotten off course. Perhaps they are unaware of how far they have missed the mark. Too often these shepherds will then commence to pressure their flock to give more and more money. They may not let it rest. They will over and over and over and over ask for more money. They will wear the flock out with this stuff and perhaps many of the sheep will leave. They know deep inside something is not right. Then perhaps the shepherd will resort to all sorts of weird fund raisers to accomplish their goal. I am not saying that fund raising is a bad thing, but too often it gets crazy and extreme. If Almighty God is in something, then He will pay for it. You don’t have to pressure people in these ways, when the Church is exploding in growth spiritually and numerically. The people of Almighty God are willing to give to something that has the Holy Spirit written all over it, but they are reluctant when they sense it is of man and not of the Almighty. These same shepherds may also resort to thrashing the flock from the pulpit. They may demean anyone who has not bought into their human vision of things. They will likely carefully choose certain Holy Bible passages to make it all sound holy and Godly. Let me repeat, if something is really of Almighty God, you will not have to convince everyone. A spiritually flourishing church is beautiful in a way all its own and there is no need to convince. 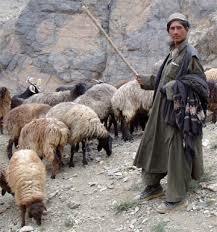 Also, there are shepherds that are into shepherding for the money. There is nothing wrong with paying a pastor/shepherd well for his service, in fact it is the right thing to do. But it is wrong for a pastor to be in it for the money, and the Holy Bible makes this clear. This is known as filthy lucre or shameful gain as in Titus 1:7. Further, their are pastors that rule the flock like a dictator. They want everything to be done their way, and they want whatever glory comes from the work being done, but doesn’t the glory belong to the Almighty? If someone has a good idea, the shepherd may not give them the green light. Why not give a green light to a good idea? Is there a fear that someone might do a better job and get more praise? Of course it is right and good to have the pastor’s blessing for what a person wants to do in the Church; however, if your idea is from the Almighty then do it. If the pastor will not let you do it in the Church, then do it on your own. You can either do it at home or at another location. You must do what the Almighty calls you to do, even if you have to do it alone. You don’t have to stop attending Church there, just carry on with the work the Almighty gives you to do. You just make sure it is of Almighty God. If it is, then He will bless you in it. If something you want to do is not of Him, then you should humble yourself and let it go. There are also pastors that are afraid to teach their flock the truth. They try to tiptoe through the tulips as it were so as not to offend them. It is wrong to teach the flock only what their itching ears want to hear. We will be judged one of these days. Of course a pastor should speak the truth in love, but they must speak the truth of Almighty God’s word. If someone leaves the Church because they were offended at a properly spoken word, then the judgment will be on their own head. Good pastor/shepherds are so wonderful. They build the kingdom and care for the Almighty’s flock. They will receive a good reward on the judgment day. It is a dangerous thing to come against one of them wrongfully. As for the bad pastor/shepherds, they best repent and turn from their careless destructive ways while there is still time to do so. To whom much is given much is required. If you are called to pastor/shepherding, then do it with a properly balanced humility and authority. Be careful to accommodate people with good ideas, while guarding the flock from what is not of the Almighty. If what they do flourishes in Christ, then be glad! Don’t get jealous, but work with them. We are in this together. Show unity. Do not try and build a name for yourself. If the Church needs money, make the need known without over-doing it, and then trust the Almighty to provide. Don’t wear your flock out by pushing them to give more money. It is no wonder the world does not like Church sometimes, when it begs for money all the time. Do not act as a dictator. Do not beat the sheep. Be sure to teach them the truth and not tell them only what they want to hear, but do it in love. Do not think for a second that the world is not watching you. The world respects what is real and right and good, and they need to see this in you. Almighty God is looking at your heart and He sees everything including motivations. You are not better than your sheep. We are heirs of the kingdom together and to please the Great Creator is what really matters.